Students seeking jobs and internships can expect to see several industry-specific events in place of the traditional, large-scale fair this spring. 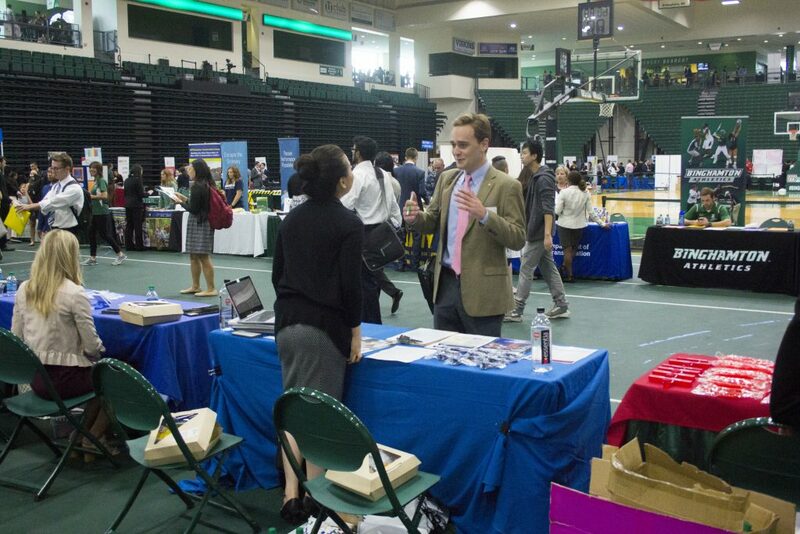 In previous semesters, the Fleishman Center for Career and Professional Development held one fair in the Events Center, but this year the center will host four industry-specific fairs. The new career fairs will feature a STEM fair, a business and communications fair, a student employment and summer opportunities fair and a common good, government, nonprofit and summer camps fair. Brandy Smith, senior assistant director for employer engagement and operations at the Fleishman Center, wrote in an email that these changes were prompted by the differences between fall and spring recruitment. According to Smith, the Fleishman Center began holding smaller fairs for nursing students and received positive feedback, which got them thinking about holding specific fairs for individual industries. Smith wrote she believes the smaller fairs will be beneficial to students as they are more specialized and take place in a central location on campus. Dalia Mermelstein, a sophomore majoring in psychology, said she enjoyed last semester’s job and internship fair precisely because it presented a variety of opportunities. However, Eden Janfar, a sophomore double-majoring in business administration and accounting, said he attended a fair through the School of Management that consisted of smaller events, and preferred it to the larger fairs. The spring fairs are set to begin on Thursday, Feb. 21 with the STEM Job and Internship Fair and continue throughout the following weeks. A large fair will be held again in the fall semester.